San Antonio is a city located in Texas that is certainly an important part of the history of the Unites States! Home to the Alamo, as well as many other Civil War battle sites, you're sure to find something interesting about this historic city when you come here to visit. San Antonio is known for it's amazing theme parks such as Seaworld and Six Flags Fiesta Texas, bringing in nearly 30 million visitors each and every year. You can't forget about the amazing nightlife scene that you'll find here, with countless options for nightclubs, bars, and restaurants, you're sure to have a good time while you're here. When you combine the awesome sites of San Antonio with one of our vehicles you are going to quickly see that there is no better combination. Think about some of the most amazing locations you are going to have a chance to visit from the San Antonio River Walk to the San Antonio Missions National Historical Park to The Alamo to the Natural Bridge Caverns. But again, these visits will not be as enjoyable without our special luxury entertainment transportation solution. So, if you happen to be looking for transportation in the area, take a look through our website. 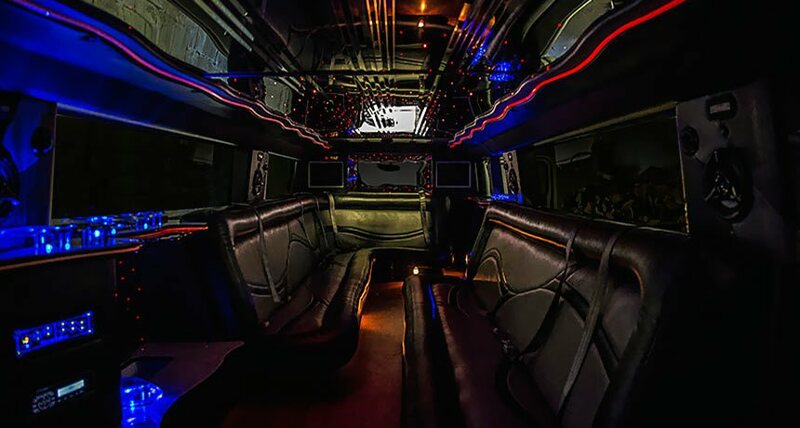 Party Bus San Antonio is here to help you experience the city in the best possible way with quality transportation. 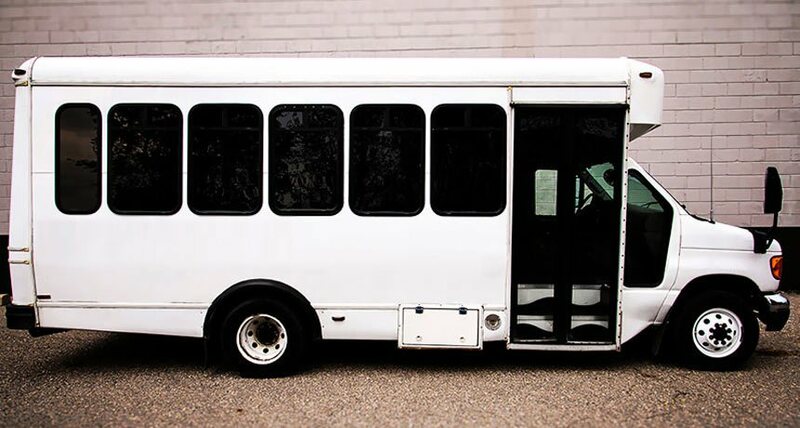 When you happen to have a group of passengers looking to get from point A to point B in the city in a stylish manner, you're sure to find the vehicle to fit your interests and needs when you choose us for your transport! 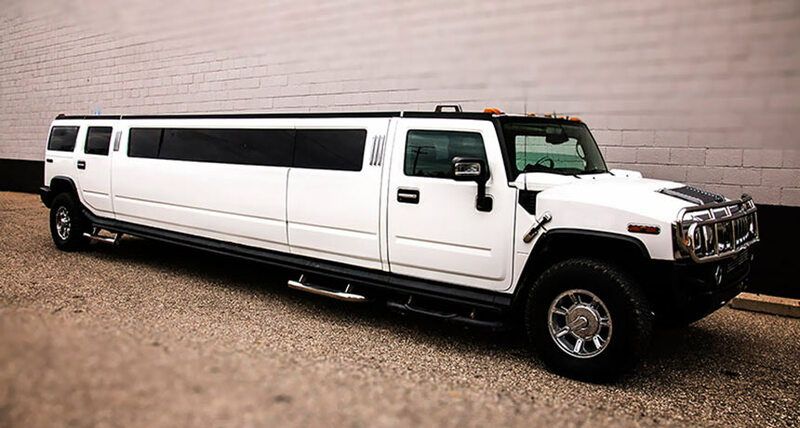 Deciding to go with our San Antonio limousines will surely prove to be a great idea when you're on the road, enjoying all of the convenient luxuries that they bring with all of your friends. With our vehicle selections and efficient transportation, you're sure to find San Antonio as lovely as we do. There is nothing like the combination of features and amenities that we offer. When you step on board, you are going to be blown away by the granite top bar areas with built-in coolers filled with ice. So, feel free to bring your own favorite libations and stock up. But that is not all awaiting you, we have also installed multiple high definition flat screens, a premium sound system with subwoofers, party lighting, luxurious wraparound seating and a dance floor complete with a dancing pole. Being able to service any happenstance puts us ahead of the game! There's so much to see and do in San Antonio that the options for taking advantage of our limousines are endless. Our vehicles add convenience and style to your night, like no other vehicle can. Here are some of the most popular events in the area, but be aware that we're able to service any event, so call us if you don't see yours listed. 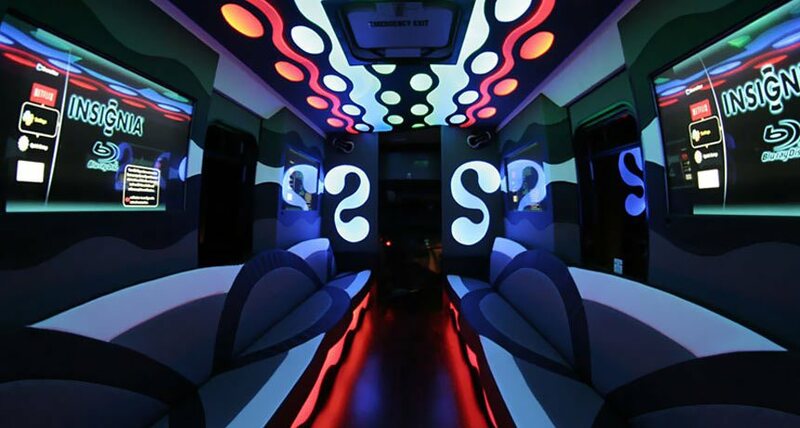 Tailgate in style and comfort with San Antonio Party Bus. Your child will be safe in a limo for their school dance. Weddings are much better with service from Limousine San Antonio. Sightsee San Antonio in a luxury vehicle, you surely won't regret it. 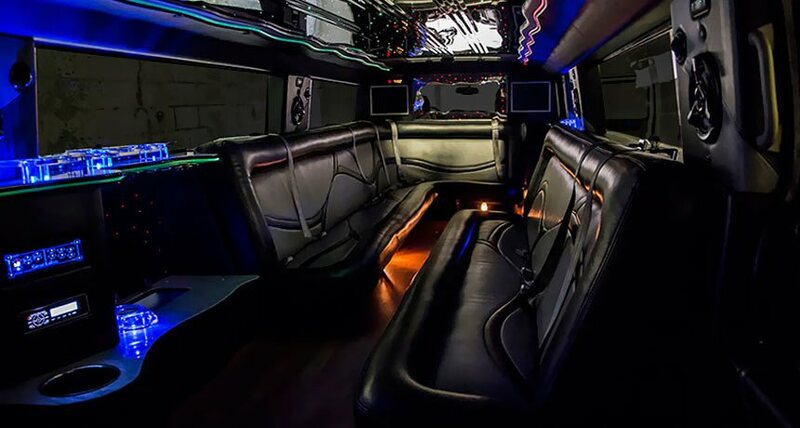 Bar hop across San Antonio in a professional limousine! Celebrate with your favorite musical acts with the style of a VIP. We are very proud of the fact that we are the best in the luxury entertainment transportation industry. But you are probably wondering why that is the case. There are several reasons. For one, we only acquire the best of the best in terms of vehicles. We then take those vehicles and install some of the most exciting features we could possibly think of. Believe us when we tell you that the party will never end when you ride with us. In terms of safety, we take that very seriously. We have certified mechanics on staff who regularly inspect and maintain our entire fleet. What that means for our customers is that you will not have to worry about being stranded on the side of the road or not making it to your destinations. And we also want our vehicles to be as pristine as possible for you so we have professional detailers meticulously clean every inch of the inside and outside. Our drivers are not only certified but they are well trained in the way we do things which includes the highest degree of customer service. 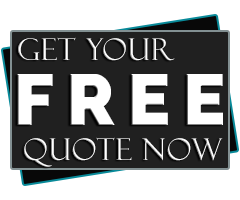 Let us know the following information for an efficient quote. Let us know where you plan on going. What date are you trying to reserve?